Another recipe straight from my expedition to the farmer’s market . 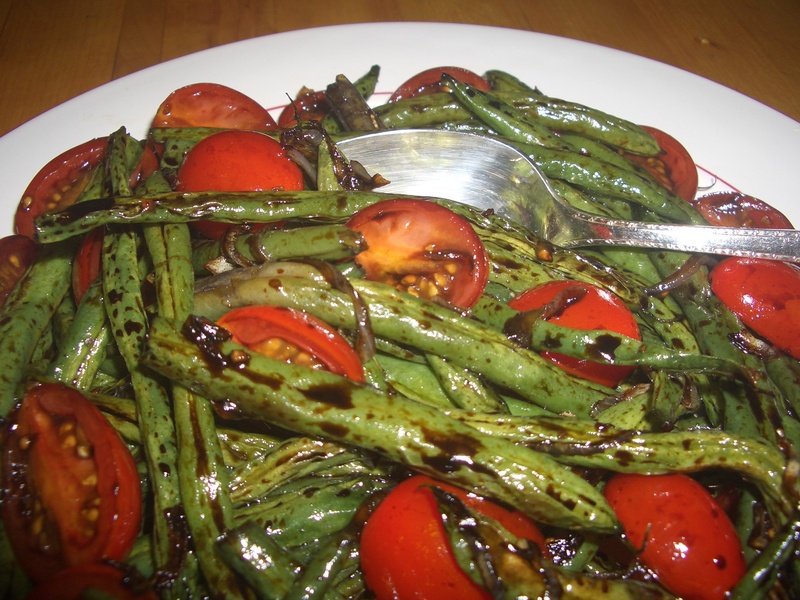 The green beans just looked too perfect to pass up and the grape tomatoes were sweet as candy. These are great served warm or cold and are another of those recipes perfect to bring to a picnic or pot luck. I’m feeling kind of stuck here for a longer narrative to share with you about this recipe or these ingredients, but this is just a straight forward recipe I created because I had great ingredients on hand. It may not be an especially beautiful dish but it’s taste makes up for its looks. You’ll love it – really!